-No Cable laying/No Road Trenching/No Power Failure. Built Solar Panel with the fully automatic rechargeable system. Super Bright LED Lamps for a longer lifetime. 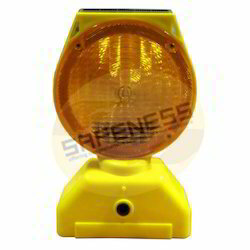 The most distinguishing feature of the warning light is enough small and light.It is small size easy to take. 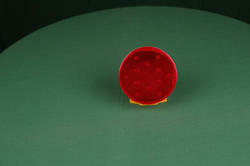 The diameter is just 10cm and even can be put in your pocket. 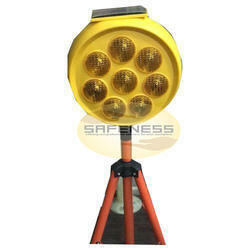 The small flashing light has 12 pieces ultra-bright LEDs and the view distance reaches 800 meters. If the battery power is empty, the reflector on the lens side will show the signal for the driver in the darkness.Red lens/Yellow Lens/White Lens are designed for this LED lights. The magnet is fixed on the bottom of the base and it can be attached to the car, the door, the machine and iron pillar. The magnet base can be changed 90 degrees easily. 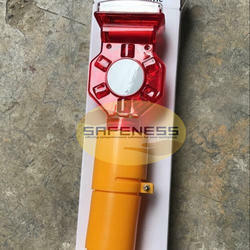 AB-265 with handle also is very popular as traffic warning light. 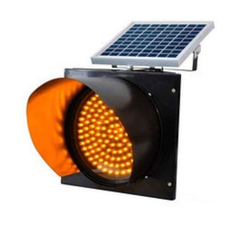 Looking for Solar Blinkers ?